It is important to know how to protect temporary workers from injury while they are part of your workforce. A temporary worker is considered an employee of both the staffing agency and the host employer which is you. Therefore, the two employers should work together to provide and maintain a safe work environment as required by OSHA. Under OSHA's rules, a contract should be established between the staffing agent and host employer citing the obligations of each in regards to the health and safety of the temporary worker. Together, the employers should analyze the work site, task assignments, and hazards that are associated with the job. The staffing agency may also inspect the work site to make sure the host employer is OSHA compliant and may supply a list of specific training the temporary worker would need to be able to safely perform tasks related to the job. Temporary workers are at increased risk for injuries and illnesses. 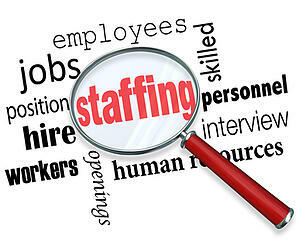 Many companies are not considering them employees as they are not directly paying them, but paying the staffing agency. This mind set can be dangerous for both parties. Too often temporary employees are severely or fatally injured within the first few days on the job because they were not properly trained. If temporary workers do not receive the right training, they are less likely to take precautions because they lack the knowledge of workplace hazards. They are at high risk because they do not know and are not as familiar with the operations. Who actually pays the temporary worker does not matter when it comes to who is responsible for that worker's safety. Rather, it is the responsibility of the supervising party. As a host employer you are telling them how, when, and where they should do their job. Their work is integral to your business, so under OSHA they are your employees. It is your responsibility to provide each temporary employee with all training, protective equipment, hearing exams, medical surveillance, and air monitoring the same as you would regular employees, if it pertains to your business. You are also responsible for recording any injuries or illness for temporary employees on the OSHA 300 log. The same pertains to seasonal workers. Whether your industry is nursing, construction, manufacturing or general industries, the host employer and staffing agency need to work together to keep temporary workers safe.